Partners taking action to reduce substance abuse - reduce crime - prevent poisonings. There will be a portable collection unit in the PARKING LOT of Harbour Station for drop off all old and unused perscription drugs. This initiative gives an opportunity to educate the public on proper disposal and the environmental hazards of improper disposal. The message is most importantly one of crime prevention and keeping medications out of the hands of children, or of those who might steal, ingest, or sell medications for profit. Accepted will be: Prescription medications, over-the-counter medications, liquid medications, ointments, lotions, sprays, vitamins, patches and pet medications. 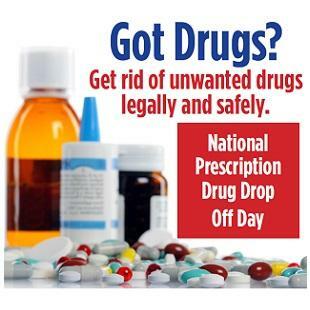 The Medication Drop Off Program is free, safe and anonymous.